Size:S Bust:92cm/36.2" Sleeve:57cm/22.4" Shoulder:37cm/14.6" Length:140cm/55.1"
Size:M Bust:96cm/37.8" Sleeve:58cm/22.8" Shoulder:38cm/15.0" Length:142cm/55.5"
Size:L Bust:100cm/39.4" Sleeve:59cm/23.2" Shoulder:39cm/15.4" Length:144cm/55.9"
.!! !Please notice that the "ZTY66" brand is only sold by "ZTY66", because of our good quality, good sales, if attracted some other to sell our products, please be sure to choose authentic seller,the other seller is "fake " seller, they sell fake products, the quality is very poor, and hey cannot guarantee after-sales services,Please help us report these seller to Amazon. 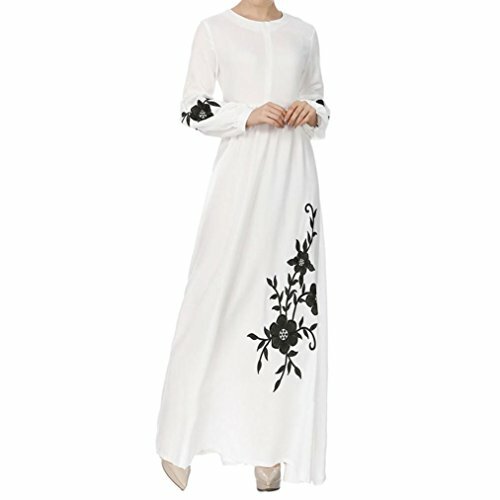 If you have any questions about this product by ZTY66_women Dress, contact us by completing and submitting the form below. If you are looking for a specif part number, please include it with your message.